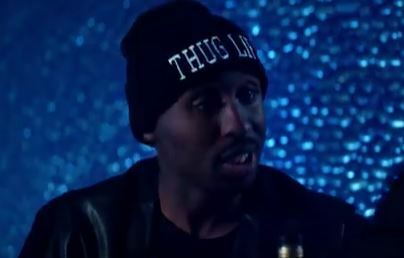 A second teaser for the long-awaited Tupac biopic, All Eyez on Me, has been released to mark the twentieth anniversary of the hip-hop star’s death. 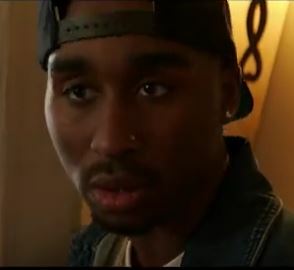 The film, named for the the star’s fourth album, tells the story of rap icon Tupac Shakur’s (Demetrius Shipp) rise to fame all the way up to the fatal drive-by shooting in Las Vegas in 1996 that took his life. While we don’t know much about the direction of the film the 90-second teaser is pretty intense, detailing the rappers first-hand experiences with police violence, sessions in the studio and the events leading to his murder. We can only speculate as to whether the movie will address the conspiracies surrounding his death. The film’s been a long time coming, starting life as a movie called Tupac back in 2011 with Training Day director Antoine Fuqua initially attached to direct. Unfortunately the project fell into development hell after a legal squabble broke out between the distributors and producers, but in November, 2015 music director Benny Boom came onto the project and it was renamed All Eyez on Me. After the success of Straight out of Compton it’ll be interesting to see if All Eyez on Me can help jump start a hip-hop biopic golden age.